Comparison website uSwitch.com is considering selling itself privately or floating its shares on the stock exchange as part of a strategic review. The company is being advised by corporate finance company LongAcre Partners, which steered Friends Reunited towards its £120m sale to ITV. Privately-owned uSwitch.com is believed to be worth just over £100m. 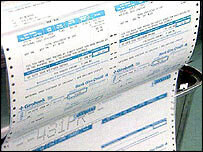 The website enables consumers to compare the price of energy charges and phone prices with other suppliers. uSwitch also helps users switch suppliers if they find a better deal. However, none of the companies it represents have a stake in the enterprise. uSwitch.com is owned by private investors, including Lord Milford Haven, cousin of the Queen, and its employees. If the firm is sold privately, likely bidders include private equity firms, internet auction site eBay and also Experian - the financial arm of retailer GUS. Experian bought the US version of uSwitch, price comparison site PriceGrabber.com, in December. uSwitch.com does not charge its users for accessing the site, but makes a fee from the supplier if the consumer chooses to change providers. As well as gas and electricity and phone prices, it also compares water prices and digital TV deals, as well as credit cards, personal loans and current account deals. Chief executive Andrew Salmon stressed that the company was at "a very early stage" of examining its options. Does switching still save cash?